Interesting part of the PG article, it states that when Coach Melendez got on campus they had 0 recruits for the Class of 2017; he built this class from the bottom up. That is just amazing! Let's see what he can do with another year of recruiting. Another top 5 class in the making! 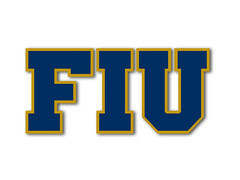 FIU, via an article of Pete Pelegrin, announces the signing class of 22. That means 7 of the kids with commitments have not signed yet, or will not sign with us. Very good read, as usual, and interesting take of Coach Melendez on each signee of the #1 rated recruiting class of the nation: FIU Panthers. That was a good read. Kind of curious there was no mention of MJ being the head coach's son, though. Also... 22? That's basically a full roster's worth of signees. The FIU roster has 22 kids right now. Looks to me like there's going to be either A) a hell of a lot of attrition between now and Opening Day or B) Melendez is expecting a good amount of these kids to go pro and never come to FIU. I'm betting on B. We'll probably be lucky to get 50% of this class in uniform. Most (if not all) of the Top 100 will likely go Round 5 or higher in the draft. They're probably all gone by Round 10. And that kind of money is hard to pass up when all you'll get from FIU is a scholarship. (And most of them will probably get less because there's only 12.5 schollies to hand out per NCAA rules. Even if you split them 50%, that only means 24 kids or so with 50% worth of ride. As an aside... I have never understood why the NCAA doesn't boost the scholarship limit up for baseball. There ought to be 25, at least. I'd say 30, personally. The college game would grow dramatically if they did that. They probably still won't get the top level prospects but I bet there's a lot of middle-level kids who'd rather take the guaranteed education now and try the pros later. I suspect the reason is probably Title IX related. Also, boosting the scholarship levels would probably be a big financial burden on any school not Power 5 or in a hot recruiting area (like FIU). But there's 300+ schools in DI now and that's probably too many. Seeing a cut back in that sense would probably be a good thing. They should also push the start of the season back... I know it conflicts with the pros and the minors, but most northern schools just can't host home games in February or March. It'd be best for the sport overall, I think. So out of 22 kids that signed most of them will be 1/2 scholarship; very rare do you find a kid on a full ride for baseball....heck I remember back in the day a player like Pat Burrell at UM was on a 1/3 scholarship and had to pay the difference. Looks like we will have a great roster to begin the season! For the 2018 season. Not so much this year. Correct, this awesome #1 in the nation recruiting class are all starting their senior year in high school. It will be fun to keep tabs on MJ at Westminster Christian this season. Today is the big day. 1st round selections are definitely not coming here. 2nd - 5th are also out of reach. Let's see how this plays out. First one is gone, Heliot Ramos, ranked as the 40th prospect in this draft by MLB goes to San Francisco with the 19th pick.